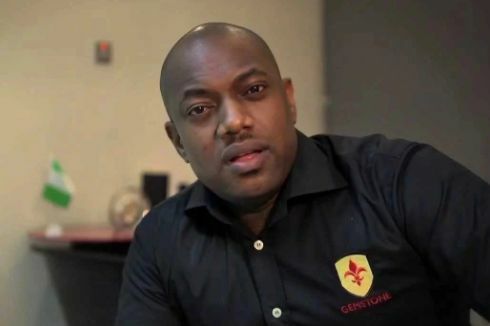 In this interview with The Punch's Jesusegun Alagbe, the Founder and Chief Executive Officer of the GEMSTONE Leadership Centre, Fela Durotoye, says by 2025, Nigeria will become the most desirable country to live in. How? At what point in your life did you decide to become a life coach? First, let me say that what I do today is the work of a nation-builder. A nation-builder is someone who has four characteristics in the form of ABCD. By A, it means someone who accepts responsibility for the well-being of their nation, not just their well-being and that of their family. No matter how well they are doing, if their nation is not doing well, they believe they are not also doing well. Talking of B, a nation-builder believes in the greatness and potential of their nation, but more importantly, they believe in the capacity of their generation to birth that greatness and turn the nation’s potential into reality. Talking of C, they commit their time, energy, resources and network to ensure their nation does well. They are not committed to making things work for only themselves, but for everyone else. Most importantly, they are determined to deliver the future of their nation, meaning that they understand it’s not going to be a piece of cake, but they are willing to do whatever it takes to deliver the future of their nation. And I always say that the future is not a time zone that has yet to come. It is everything a nation can be but has not become. It is everything the people can do but have not done. It is everything they can have together as a people but have not yet possessed. That is what makes the future. The future is not ahead of us, it is inside of us. What a nation-builder does is to accept responsibility, believe, commit and be able to do everything to deliver the future. Personally, I have always been committed to raising a generation that will deliver that future. So, when did your journey into becoming a nation-builder start? My journey started in 2004 when I started to understand that there was much that needed to be done about Nigeria. At that point, I had looked at the circumstances of the national anthem and I realised that it was a prayer and if God answered that prayer, it would literally birth the best country in the world. When you looks all the lines of the national anthem one after the other, they are prayers. For instance, the second stanza says — ‘Oh God of creation, direct our noble cause, guide our leaders right.’ If God guided our leaders right, we wouldn’t have corruption. So, as you go through the national anthem, you would realise that it is a prayer. But the question is, why are we praying but not acting? It’s because many a people take the national anthem as a song and not prayer. So, way back in 2004, it occurred to me that Nigeria would be the most desirable nation to live in the world by December 31, 2025 and this was something I got in a place of prayer. I have held on to that word and my job is to build people who could lead and deliver. Hence, nation-building has been my job for the past few years and I’ve given up everything for it. Seeing that since 2004 nothing much has changed about Nigeria, have you ever felt weighed down and felt like not continuing anymore? Every day! To be honest with you, it’s almost every day, because nation-building is like building a house. Those who have built houses would realise that you don’t ever really have all the money to build a house when you start. There are many times you have a vision of the house you want to build and then you have to find where to start from. You start asking questions, how do I start? Who do I need? Some people will come and some people will go. When they go, you’re hurt, but you realise that maybe their time was over. For instance, you don’t always need a quantity surveyor throughout the period of building your house, you only need them at the beginning. You wouldn’t always need an estate agent throughout the period. Once the agent comes, he goes. People will come and go. You don’t always know when you’re going to get the next money, but somehow, I found out that nation-building always funds itself. Sometimes you can’t always tell when the next income would come from, but it always comes, especially when you know you wouldn’t compromise your values to get anything from anyone. It’s a very interesting journey and at times when you read articles or you see things on the road, you just ask, will we ever be able to build Nigeria to a most desirable nation by 2025? When I started this journey, 2025 was 21 years ahead. Today, 2025 is eight years ahead. There are times I ask myself, have we made enough progress? Can we make enough progress? To be honest with you, I believe we can. So, yes, there are many times I’ve felt discouraged, but like I said before, this is where determination comes in. There are perhaps many people, especially the youth, who have given up on Nigeria and some have travelled overseas in search of greener pastures. Can we really blame those people? I am absolutely convinced that the Nigeria of our dreams, where everything works and everyone is working to make things work, is possible. I have seen it and I know it’s not only a possibility; it is a reality. But like every architect sees a house before the rest of the world sees it, I have seen the future of Nigeria. What I am trying to do is the job of an architect, which is to bring (in) all the people with various skills and tell them what it is that I have seen and give them plans and whatever tools they need to work with. I have seen engineers building cities, medical workers building a new health care sector, teachers raising great people in great schools. We can build it because I have seen it. We will build it. I am so convinced that we will deliver the future. Now, are there people who have not seen it? Of course, yes. Do they also see other things that discourage and distract them? Absolutely yes! I don’t blame any young person who has given up on Nigeria. You know, one interesting thing is that I am 46 years old and I had a great privilege of seeing almost what you would call the tail end of the good old days. When I was in the primary school, we drank water from fountains, not from boreholes; I grew up on the then-University of Ife (Osun State) campus, I went to the staff school, then later got admitted to the school. The point I’m trying to make is that I had a Nigeria where everything worked. I went to a school where it cost N1,260 to do a master’s degree programme per semester. So, I have seen a bit of the good old days in Nigeria and something tells me that the best is always before us, not behind us. My point is: if we had experienced a good Nigeria, then we can build a better Nigeria. How are you ensuring that others contract into your vision? The greatest platform that we’re using right now is called the Fela Durotoye Leadership Network and this is because of all the requests that I get from time to time. Lots of people say, ‘Fela, please mentor me,’ and right now, we have over 11,000 people who have signed up to the network in the past five months that we started it. It’s amazing that we’ve got young people, old people, Chief Executive Officers, and students on that platform and they are all bound by the same idea and ideology. First, they all have love for Nigeria; second, they believe we can build Nigeria and make it desirable to live in by 2025, just because God has blessed Nigeria. They are bound by some principles: first, to make a positive impact; second, to be a solution provider; three, be a role model, be the best in all you do, do the right things at all times, value time and make the best use of it, care and show respect to all through your words and actions, consciously build a legacy starting now. And every day, live a life of integrity and honour, make your family and nation proud. I can imagine that everybody would want their children and spouses and colleagues to live like that. But the big question I always ask is: can you imagine a large number of Nigerians living by these principles? If so, why wouldn’t Nigeria become a desirable nation to live in? If every Nigerian abode by these 10 values, everyone from around the world would want to work with a Nigerian, every woman would want to marry a Nigerian man, every man would want to marry a Nigerian man, and everyone would want to live in Nigeria. The network is free and everyone on that platform gets my thoughts, my teachings, my values, and not only mine, but those of other people who are my mentors like Dr. Christopher Kolade. They get exposed to them. I arrange meetings between those who mentor me and those who I mentor and it’s always a very special moment. There are leadership training programmes via the platform. In fact, we’re currently working on a particular leadership training that is called Excellence in Leadership and Governance and this is essentially about thinking about how we can raise people with the right values to begin to see how they can enter into the layers of governance including the executive and the legislature. This is part of the Leadership Census Initiative. It’s a mandate to raise people with integrity who have the capacity to take the best decision for everyone and see how that they can get empowered with the position of authority to take those decisions so they can build for us a nation where everything works. It is a platform where we get everyone with great ideas, who love Nigeria and know they have what it takes to build Nigeria, to identify positions of service whether at the local, state or federal level and people who are willing to learn how to run and win in an election. But more importantly, they will learn how to deliver after they have won the election. What’s your take on restructuring? The talk about restructuring is really about the pain and disappointment most people have felt in Nigeria. You would never hear a Niger Deltan say they are being marginalised as long as their son is in power, likewise the Hausa and Yoruba. What is happening to us all is that we have lost our national identity and I think it is not the constitution that can fix this. To be able to fix Nigeria, we have to restructure our minds, not just our constitution. Let’s make demands from the people that we elect and restructure their accountability process. Let’s restructure our political parties and make sure everybody in the party can vote for their aspirants. Let’s restructure our electoral financing and make sure it is possible for people to run for an election without requiring so much money. Those are the kind of restructuring that we need. Does a nation-builder like you have to be a politician? Oh yes, I believe nation-builders should be found in all walks of life that produce governance and governance is about politics, policy, public service, and private sector, including business and non-profit organisations. Governance is not only about elections or appointments. It is all of these and nation-builders must be found in all these sectors. They need to become party executives, delegates, party members, aspirants, candidates, government officials, public service holders, doctors, teachers, lawyers.